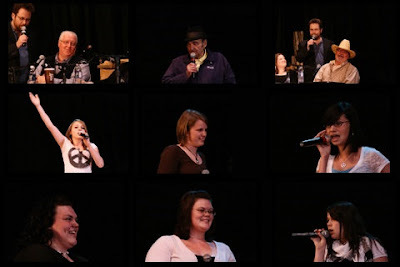 International Idol 2009 Continues June 21: Come See What Happens! Week Two of the Soo Theatre Project’s International Idol has expanded to ten contestants! Three more Idol hopefuls have been added to this unique vocal contest. This competition is an adrenaline ride for the contestants, who have to hold their own on the Soo Theatre stage, performing in front of the judges, family, friends, and devoted community members. Lake Street Studio in Brimley, owned and operated by Soo Theatre’s own Taylor Brugman, is donating studio time for the three winning contestants. The International Idol third place winner will receive an award of $100 of studio time, runner-up $200 of studio time, and first place $500 of studio time at Brugman’s Lake Street Studio. Week Three of International Idol is just around the corner. Sign-up is complete and the ten contestants have been selected. There may be some new challenges compared to last year’s competition… Come see what happens! The remaining events of the International Idol 2009 Vocal Competition Series take place Sundays, June 21, June 28, and July 5 at 7:00 p.m. at the Soo Theatre. Admission is $5 at the door for any non-contestant. Further information is available at the Soo Theatre Project. Call (906) 632-1930 or email sootheatre@lighthouse.net. 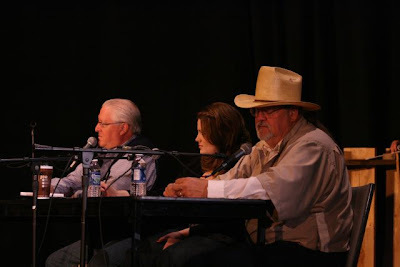 Dennis Brooks, Trisha Wells, and "Gentleman George" Snider judge the performance of a contestant during Week One of the International Idol 2009 Vocal Competition Series at the Soo Theatre. There's Still Time to Sign Up for International Idol 2009! Sunday, June 7th at 7:00 p.m. on the Soo Theatre stage saw the first round of International Idol 2009. Seven local talents, from both sides of the Saint Mary's River and ranging in age from 12 to 82, began the vocal competition. The contestants are not only judged on their vocal abilities but also on their stage presence, originality, timing, clarity, interpretation, and pitch accuracy. Local musicians Dennis Brooks and "Gentleman George" Snider make up two of three members of the judging panel. Trisha Wells is the third judge. A graduate of DePauw University with a Bachelor of Music degree in Vocal Performance, Ms. Wells is the female lead in the Soo Theatre’s upcoming production of Oliver! The Musical. Jennifer Compo and All Good Soundz Entertainment is once again providing musical accompaniment for the contestants. The winners will receive studio time at Lake Street Studio, Brimley's waterfront recording studio. The Grand Prize is $500 studio time, Second Prize is $200 studio time, and Third Prize is $100 studio time at Lake Street Studio. If you love singing and performing, this is the competition for you! International Idol is still accepting registration for new contestants. Everyone participating must prepare two songs. The music selection is available from All Good Soundz Entertainment. E-mail Jennifer Compo at her website at allgoodsoundz.com to ask about the music selection. If you have your own CD, do not hesitate to bring that in as well. 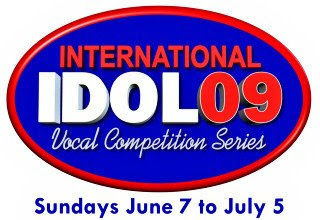 The International Idol 2009 Vocal Competition Series takes place Sundays, June 7th to July 5th at 7:00 pm. Admission is $5.00 for any non-contestant. Sign-up for contestants is free and International Idol is accepting applicants for one more week (through June 14). If you have any questions, please call the Soo Theatre office at (906) 632-1930 or email sootheatre@lighthouse.net. Yo Ho Ho! 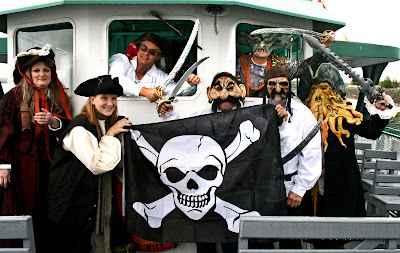 Join Our Pirate Cruise on Thursday, June 11! Steve Welch and his crew are all ready for the Pirate Boat Cruise benefit for the Soo Theatre Project on Thursday evening, June 11. Leaving Soo Locks Boat Tours Dock One at 6:00p.m., the cruise is sure to be fun for the whole family. A pirate auction for a Pirate Hat, A Parrot, King's and Queen's Crowns,Jack the Monkey, and a huge Pirate Flag. Tickets are $10 for adults, $5 for children 12 and under. Tickets are available at the Soo Theatre or at Soo Locks Boat Tours Dock One (1157 East Portage Ave.) (map to Dock One). For more information, call the Soo Theatre at (906) 632-1930 or go to our website at sootheatre.org. The Soo Theatre is located at 534 Ashmun St., Sault Ste. Marie, Michigan. 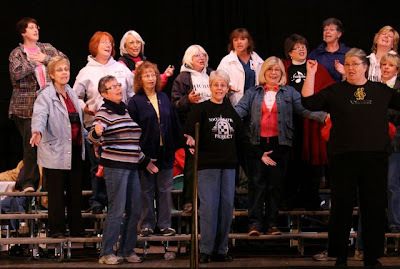 Rehearsing for the first of the season's shows at the Soo Theatre are some of the ladies from the Lock Cities Chorus of Sweet Adelines. The Sweet Ads and the Northland Barbershop Chorus are presenting A Table for Two as a benefit for Soo Theatre Project on Saturday, June 6 at 7:30 p.m.
Come and enjoy a family evening of song and comedy. Show tickets are $15 for adults, $10 for students, and are available at Soo Theatre Box Office or at the door. For more information, see our previous posting.